Lifelong guidance aims to provide career development support for individuals of all ages, at all career stages. It includes careers information, advice, counselling, assessment of skills and mentoring. Quality guidance services should be available to all individuals, regardless of their employment situation, socioeconomic status, ethnicity or gender. Cedefop’s lifelong guidance project develops research and knowledge exchange for the improvement of guidance and counselling across the European Union. 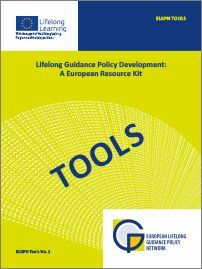 Cedefop cooperates with the European Commission and the Member States via the European lifelong guidance policy network (ELGPN). By addressing the needs of at-risk groups, such as the young disengaging from education and training, or migrants striving for labour market integration, guidance aims to support social inclusion. By contributing to reconciling the needs of individuals with the needs of the labour market and of enterprises, guidance aims to support employment and economic growth. encourage coordination and cooperation among the various national, regional and local stakeholders. Cedefop’s research in lifelong guidance is concerned with the changing needs of individuals through their lives and careers. Recent studies have addressed the specific needs of the young, middle aged workers and learners, and older people. Lifelong guidance strategies and methodologies for the labour market integration of migrants have also been researched. Cedefop has developed reference research into standards for guidance professionals’ competences, system development, and improving cooperation between stakeholders. Currently, research is being developed on ensuring the quality of labour market information and intelligence in careers information and advice. Studies on the career transitions of individuals are also being undertaken, with important outcomes for the development of lifelong guidance. relevant frameworks for guidance professionals’ work such as ECVET, the EQF framework and the guidelines for validation of informal and non-formal learning. Cedefop cooperates with Member States through the European lifelong guidance policy network. It encourages knowledge exchange between experts and practitioners by cooperating with Euroguidance and international associations such as IAEVG, ICCDPP and Fedora. Research is also supported by promoting expert seminars, workshops and knowledge exchange on critical issues for lifelong guidance policy development.